Easter is ended and I am happy for that for only one reason…I got sick eating sooo much meet! and especially lamb…I think it will pass at least two months to taste it again! 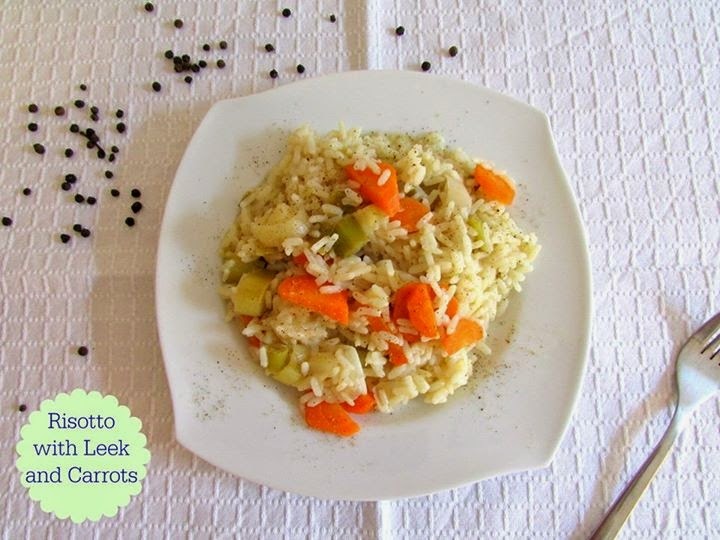 So here it is a simple, healthy and delicious recipe for a risotto with vegetables. My daughter loves it and I am sure you will also! Cut in small pieces the onion and the rest of the vegetables. 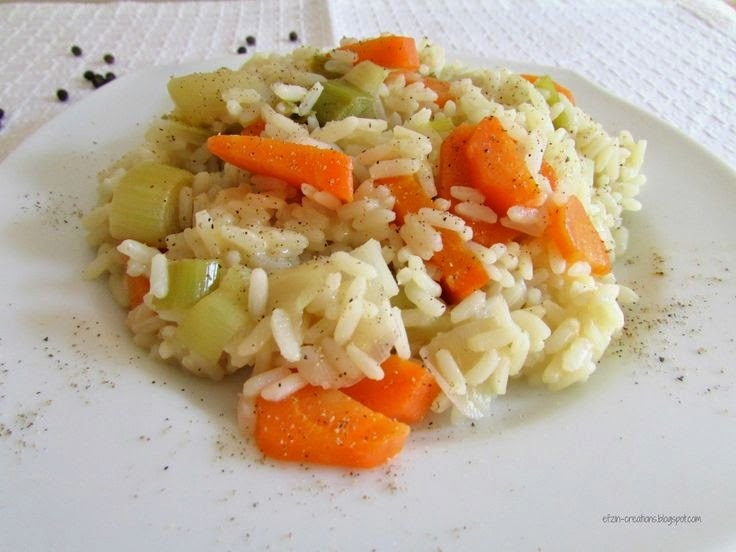 In a pan add the olive oil and when is hot enough add the vegetables and leave them for a couple of minutes. Add the wine and leave the pan open for at least 4minutes for the alcohol to be evaporated. Add the salt and pepper to the vegetables according to your taste. After 15min the vegetables are ready to be cooked with the rice. So add the rice and add up water whenever is necessary. The procedure is add some water ( for example 1 glass) leave the mixture to drink it and then put some more until the food is ready. Before serving use a salty cheese like Graviera or Parmesan. Easy and really delicious food!